Amazon has announced a basic edition of company's popular streaming device- Amazon Fire TV Stick. The basic edition of Amazon Fire TV has been launched in over 100 countries at a price tag of $49.99 (approx. Rs. 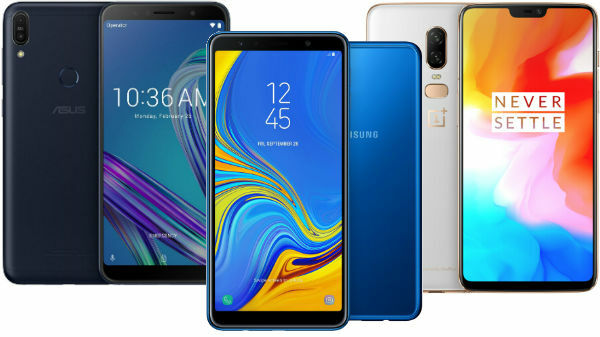 3,300) and provides an easy way to access content from Prime Video, Netflix, YouTube and over 4,000 apps and games. The biggest difference between the original and basic edition of Amazon Fire TV Stick is Alexa voice assistant. The voice enabled assistant is not provided with the basic edition of Amazon Fire TV stick. The basic edition of streaming device has a quad-core processor and 1GB RAM. 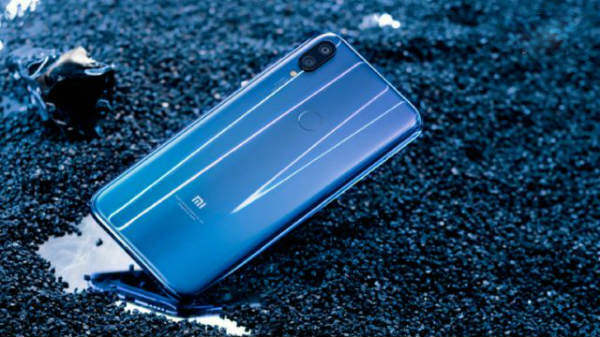 You get 8 GB on-board storage to download apps and games. Like the original Fire TV, the Basic Edition also comes with a dedicated Bluetooth remote to access the online content you want to stream on your TV screen. If you have subscribed to Amazon Prime Video members, you will get unlimited access to Prime Video, including original programs such as The Grand Tour, Man in the High Castle and American Gods. The Fire TV stick has an easy to use interface in the following languages: English, Spanish, French, Portuguese, Italian, and German. You can stream TV shows in up to 1080p format and can experience Dolby Audio via HDMI connection. Amazon Fire TV Stick Basic Edition will be available in over 100 counties including Spain, France, Canada, and Italy. Sadly, the list does not feature India as its market for now. Moreover, the Amazon team hasn't shared any official date for Indian launch of basic edition of Amazon Fire TV. But fret not as the original Amazon Fire TV Stick, which is a great option is available in India at Rs. 3,999 on Amazon.in. It provides access to thousands of Bollywood, Hollywood and Regional language movies and TV episodes, songs and games. 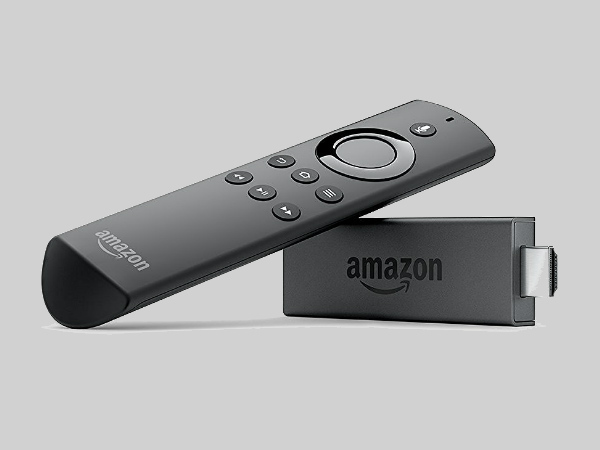 Amazon Fire TV Stick comes with a voice enabled smart remote. 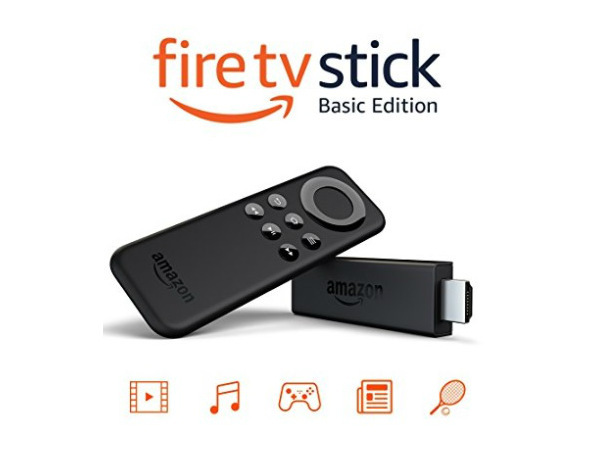 If you are unaware about the Amazon Fire TV stick, it is a streaming device that simply plugs into your non-smart TV and allows you to stream online content. The streaming device is compatible with high-definition TVs with HDMI capable of 1080p or 720p at 60/50Hz, including popular HDCP-compatible models from Hitachi, JVC, LG, Mitsubishi, NEC, Panasonic, Philips, Pioneer, Samsung, Sharp, Sony, Toshiba, etc.